Reflective buffet with multiple storage options. 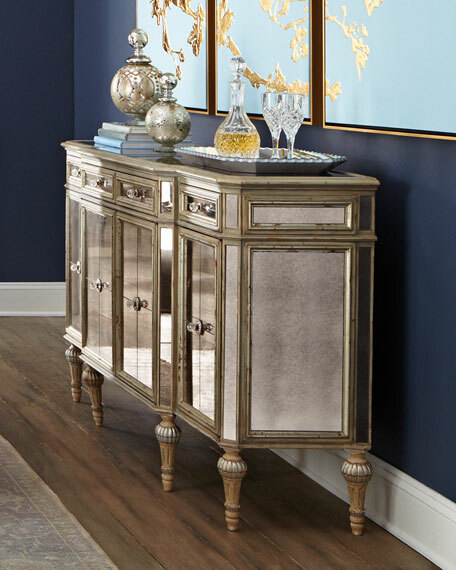 Made of hardwood with an antique-cream finish, silvery accents, and mirrored insets. Four drawers; four doors; four adjustable shelves (one behind each door). 64"W x 19"D x 39"T.